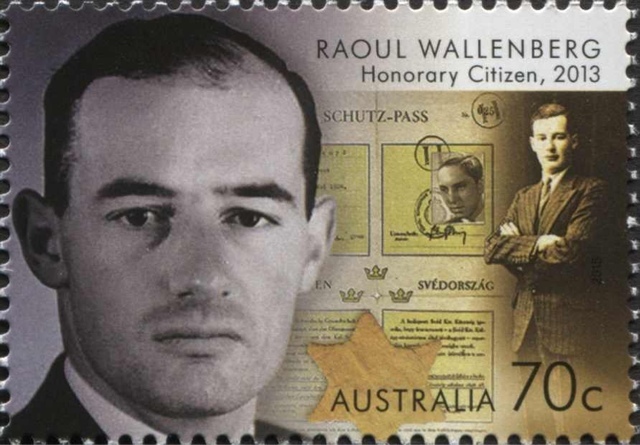 It is with great pleasure that we announce that Australia has decided to honor Raoul Wallenberg with a special stamp issue that will be launched on October 5th, 2015. As you know, Raoul was declared an honorary citizen of Australia in 2013 and this stamp issue is another proof of the commitment of the people and government of Australia to keep alive the magnificent legacy of your relative. This commemorative stamp issue will also feature the semblance of two great humanitarians: Mother Teresa and Nelson Mandela. 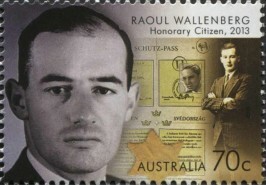 The International Raoul Wallenberg Foundation has been relentlessly working to preserve Raoul’s legacy and we have also found a steadfast support in Australia, as exemplified by the former Prime Minister, Ms Julia Gillard, in her special video address back in 2013, which was entirely devoted to Raoul Wallenberg.